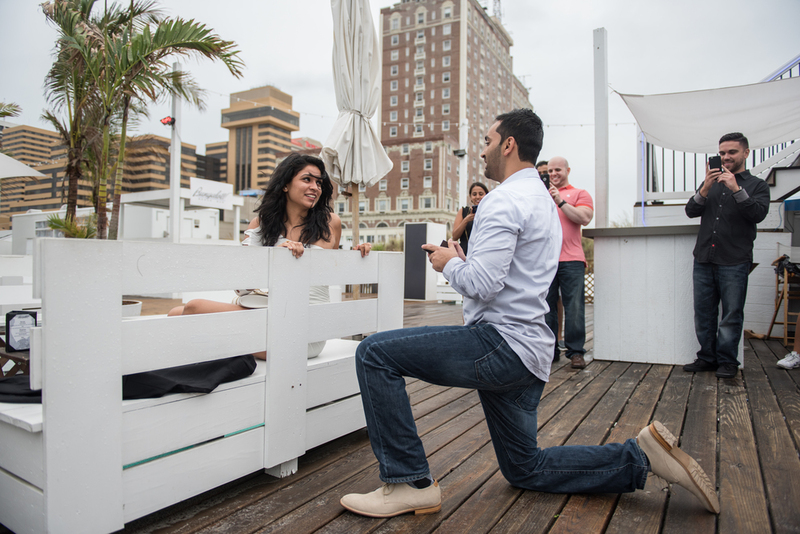 Purvish hired me to photograph his marriage proposal to Krina, in Atlantic City, NJ. The breezy overcast day did not spoil this special moment. It was really exciting watching Purvish adapt and get the woman of his dreams. What a lucky man! Friends and family did a great jobs playing up the surprise birthday party for a friend. Krina was completely clueless. If you have not guessed. Krina said yes!!! Best wishes to Krina and Purvish! !